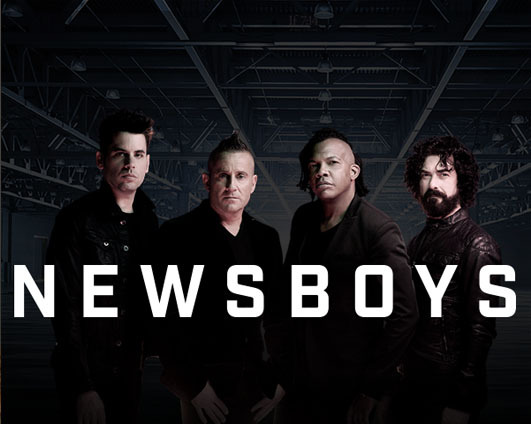 It’s no secret that the Newsboys spend a lot of their days on the road. They’re constantly challenged and driven to make powerful, intriguing music that will continue to bring their message of faith to anyone who will listen. They’ve been doing it for almost three decades now. That’s a long time to consistently make new and exciting music but they’ve continued to do it with fervor and drive, allowing them to stay at the top of their game in the process. Keeping things fresh can be a challenge in all aspects of life. Old things can seem stagnant and past their “due date” and we get caught up in the glitz of what’s fresh and unchartered. And then there are those things in life that just become more poignant, more meaningful and quite simply, more needed as time goes on. Their depth and power never seem to lose their luster. So, when the Newsboys decided to unveil their first ever hymns collection HALLELUJAH FOR THE CROSS, this was their first challenge. How do we take these powerful, foundational hymns, that for hundreds of years have managed to stay valid and not become redundant even though they were written so long ago, and refresh them for today’s listener? The hymns don’t necessarily need to be rescued but a new audience needs to hear them. Lead singer Michael Tait agrees. “Hymns are important to me. Wes Campbell, producer Seth Mosley, and myself sat and picked through songs that went way, way, way back into my past and my dad’s Baptist church. I love modern worship but I just love that old stuff because they were written in such desperate and perilous times, and out of great pain comes great resolve, I think. When I sing them, they go deeper in ways to me than a lot of things I reach out for when I’m in that spiritual drought,” he adds. The group deviated a bit with the album’s title cut and debut single, penned by Ross King and Todd Wright but overall, held closely to the goal of reaching deep into that ancient well of songs that used to be the foundation of the Christian faith.